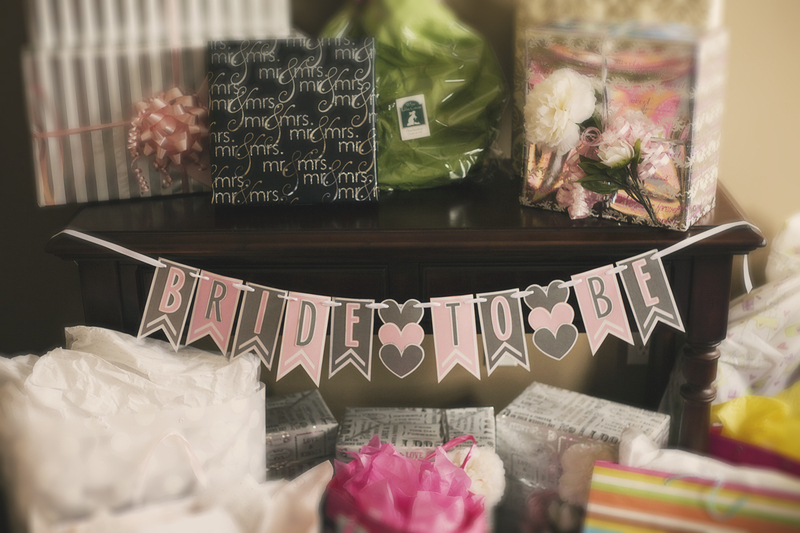 It’s the Maid of Honor’s responsibility to ensure that the bridal shower is only the best for the bride-to-be. This includes creating informative invitations, picking a bridal shower venue that’s located in the Pittsburgh area that also caters at a reasonable price, while also developing an agenda full of fun games and surprises. Of course, at Jaden’s Catering, we believe that the catering meal and venue is the most important part of a successful bridal shower. However, here’s a handy checklist to follow along as the bride reaches her big day! Talk to the bride and her party. What type of party does the bride want? When does she want it? Maybe some of the party lives outside of the Pittsburgh area. When is a good weekend to get everyone in the same room at the same time? Set the date. These are typically a month or two before the wedding. This gives everyone time to plan their trip and allows them to get some quality shopping in. Make reservations. Some say that the venue can make or break the bridal shower. Make sure to find a place that caters good food at a reasonable cost. If it’s an evening shower, you will want to make sure they serve a hearty dinner, while mornings/afternoons can be reserved for breakfast and lunch buffets. Create the guest list for the bridal shower. Send a “save the date” email and/or call important guests, specifically to those guests who live outside of Pittsburgh. Confer with the bridesmaids to establish a budget. How are you splitting the catering bill? What is the max bridal shower gift budget? Purchase bridal shower invitations or materials to make them. There are some great websites such as Minted that specialize in invitations. Hold a brainstorming session with the caterer and bride to finalize decisions about table linens, flowers, menu, decorations, favors, music, and activities. Make a detailed to-do list and assign tasks to the rest of the party. Assemble, address and mail the official invitations. Also include information about the couple’s registries. Get the rest of the party together, and start shopping for decorations, paper goods, and other party props like favors. Place flower order, if need be. Focus on you: buy your outfit for the shower and buy your gift for the bride, so you don’t find yourself scrambling at the last minute. Unless you’ve picked a venue like Jaden’s Catering that already has these available, make a list of food and drinks. Confirm reservations with the venue. They will need time to order food and get plates as well. Gather the rest of the party and assemble and/or gift-wrap favors, while doing the fun work like preparing shower games and activities. Make sure the other Bridesmaids will be at the venue on time to help. Head to your venue early (you never know what time you’ll get there with Pittsburgh traffic!) Receive and set up equipment, assemble decorations and favors. Venues like Jaden’s Catering make setting up bridal showers easy by setting up tables and silverware prior to your arrival. Have fun knowing that you made this bridal shower the successful soiree that it turned out to be! Jaden’s Catering is located in Monroeville and caters all over Pittsburgh, PA. Call Jaden’s Catering for your bridal shower venue or catering needs. such as wait staff, bartenders, chefs, linens, china and food stations. voted the Best Caterer and Banquet Facility in the East. Wexford, Greensburg, Carnegie, North Hills, South Hills, Indiana, State College, and more. Graduation Parties looking for a Pittsburgh Caterer! With the graduation season vastly approaching, many of you may be looking for a catering company in Pittsburgh to help with your event. Well give us a call at Jaden’s Catering. We have been providing the city of Pittsburgh with quality catering for over twenty years. We have a full fleet of vehicles and a friendly staff that will take care of anything that you may need. Keep Jaden’s Catering in mind this spring and summer for all of your catering and graduation needs.